Tundra biomes combine freezing temperatures with stark, treeless ground cover to create one of the harshest natural environments on Earth. 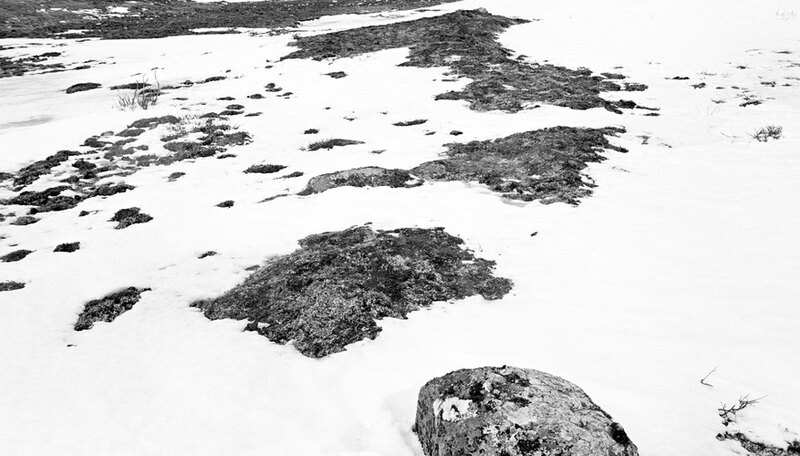 Most tundra is a hard-packed mixture of dead frozen plant matter and soil called permafrost. This biome’s plants and wildlife have adapted to a precarious set of environmental conditions that are now shifting due to climate change. Alaska -- the northernmost U.S. state and the only one that includes Arctic tundra -- has warmed at double the average U.S. national rate over the past 50 years. Its average temperature has risen by 3.4 degrees Fahrenheit in that time, and its winter temperatures have risen by almost twice that: 6.3 degrees Fahrenheit on average. Scientists expect temperatures to rise by at least as much again by 2050. The tundra’s increasing temperatures may sound modest, especially for a biome with an average temperature of 10 to 20 degrees Fahrenheit. But they have actually caused significant change to the tundra’s permafrost. Warming temperatures delay annual freezes, and longer warm periods melt tundra permafrost. This lets plants like shrubs take root further north in the tundra, and allows animals that are not adapted to the tundra’s harsh conditions to migrate north. These environmental changes threaten tundra inhabitants like the Arctic fox. By freezing decaying plant matter in permafrost soil every winter, tundra historically acted as a “carbon sink”: a place that removes and stores greenhouse gases from the atmosphere. Packed permafrost can reach depths of 450 meters (1,476 feet). Climate scientists expect that thawing permafrost will release its stored greenhouse gases like carbon dioxide and methane into the atmosphere. The National Aeronautics and Space Administration (NASA) is monitoring permafrost to determine what gases are escaping. Samples taken from Alaska’s Innoko Wilderness in 2012 showed methane emissions like those generated in large cities; such greenhouse emissions will likely cause a positive feedback loop and speed climate change. Some doubt the existence of climate change, as well as the theory that warming temperatures are caused by greenhouse gas emissions from human activities like burning fossil fuels. However, the Union of Concerned Scientists reports an “overwhelming scientific consensus” that climate change is occurring, and that it is caused by human activities. The warming Arctic tundra is one example of this process at work. C., David. "Ecological Concerns That Affect the Tundra." Sciencing, https://sciencing.com/ecological-concerns-affect-tundra-13273.html. 24 April 2017. Why Is the Tundra so Important?